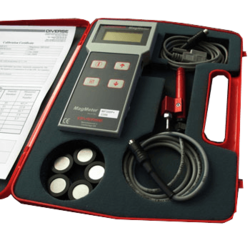 Prominent & Leading Distributor / Channel Partner from Vapi, we offer ultrasonic flaw detector, ultrasonic phased array flaw detector and digital ferrite meter. WTPA600 is a portable 64-CH phased array ultrasonic flaw detector. It’s water&oil -proof , fan-free and with touch pad. 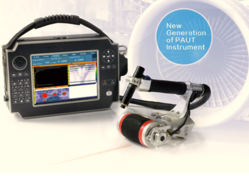 Whole-process data logging, innovative phased array probes and inspection methods being the advantages, this model guarantees superior performance and support, which makes it among the best of its kind for high C/P ratio. In the chemical industry the stress-bearing members of containers,pipes,reactor vessels and other plant are usually made of austenitic steel or duplex steel or cladding of austenitic chromium-nickel steel.The residual ferrite content must be within a specific range compatible with the mechanical strength requirements of the item concerned. 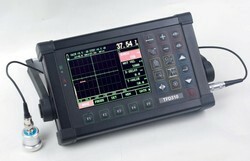 The WTF110 was developed to facilitate accurate ferrite content measurements on welded seams and cladding items. It gives results that match for the standards of GB/T1954-2008,ISO 8249 and ANSI/AWSA4.2. Looking for Flaw Detectors ?